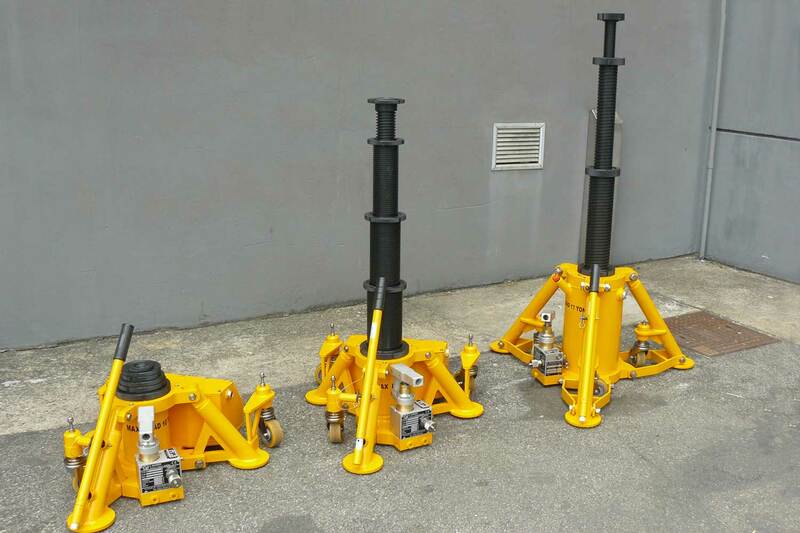 GB Barberi produces a complete series of lifting jacks with a maximum load limit of 20,000kg, with a height range between 170mm closed to 4000mm fully-extended. 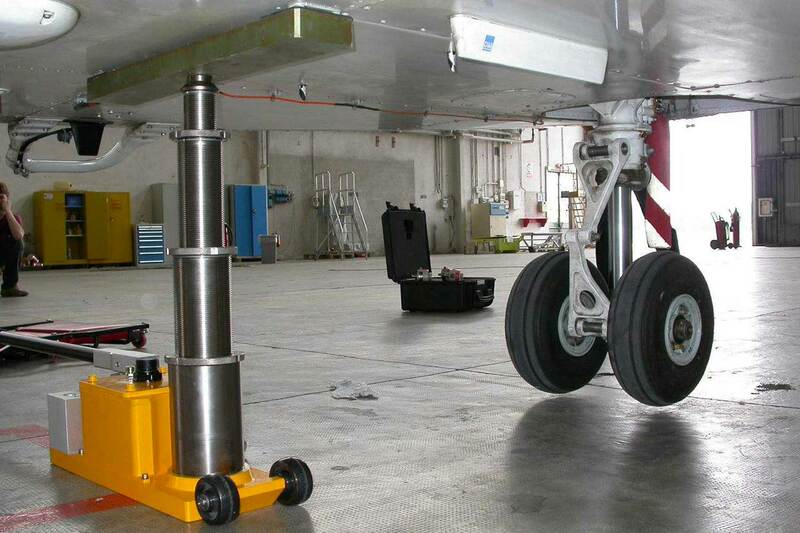 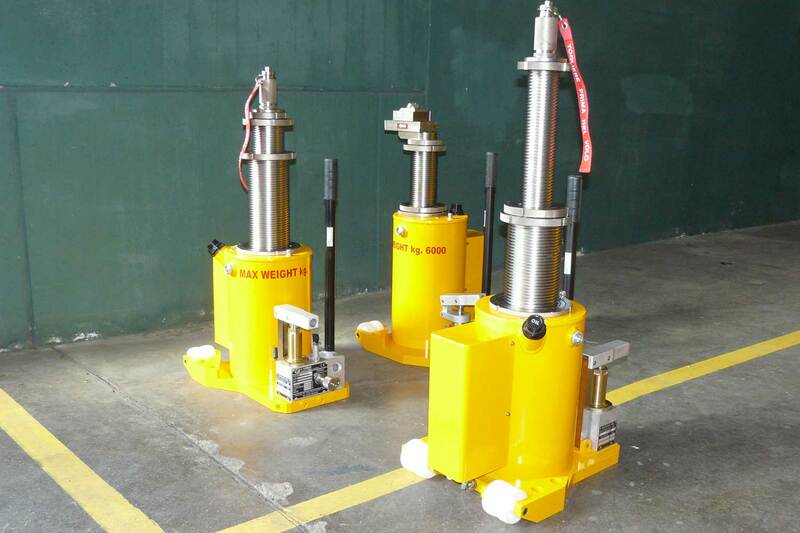 The range is composed of hydraulic jacks worked by a single or double hand-pump, and also electro-hydraulic, pneumatic-hydraulic and electro-hydraulic lifting systems controlled by a console capable of managing the entire aircraft lifting system simultaneously. 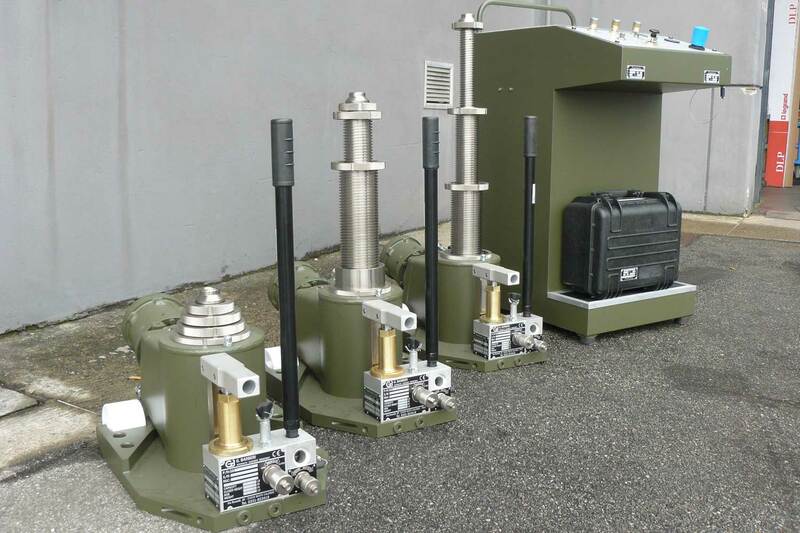 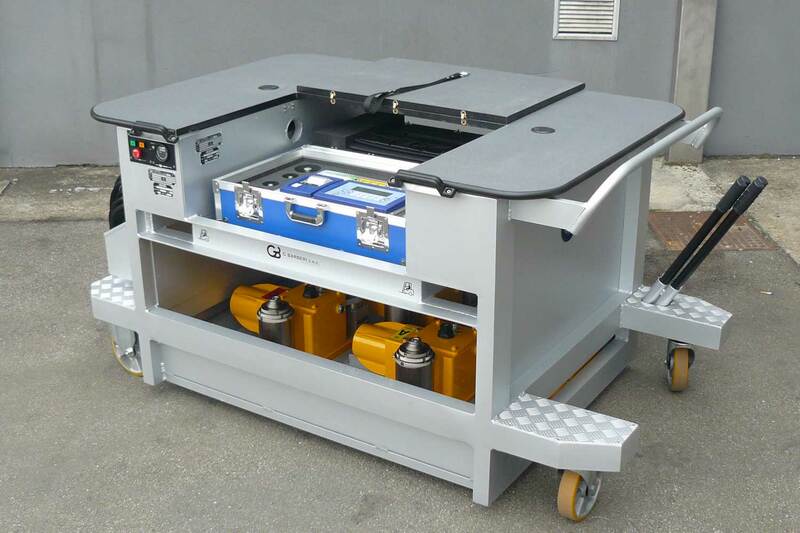 All of the lifting kits can be integrated with electrical weighing kits. 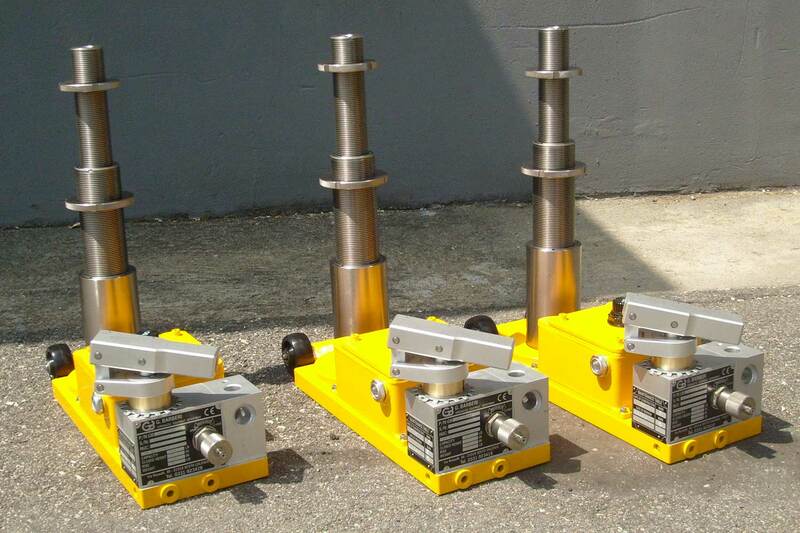 Specialised versions with different configurations are available on request.